After President Lyndon Johnson rammed the Gun Control Act of 1968 through Congress, many anti-gun politicians looked forward to the day when they could completely ban the sale and ownership of firearms and, perhaps, even confiscate those already in private hands. Sen. Ted Kennedy called the Draconian legislation "a good first step" on the road to banning guns, and, after Richard Nixon succeeded Johnson, Nixon's attorney general proposed that all side arms be outlawed and confiscated within a decade. None of that happened. Those hostile to firearms ownership and the Second Amendment thought they were on the verge of victory but had, in fact, managed to wake up millions of Americans who hadn't previously believed that government would ever threaten their guns or their way of life. They were joined by others who were not necessarily gun owners but believed the Second Amendment and the rights it guaranteed a free people were worth preserving. The NRA was founded in 1871, but until the passage of the 1968 legislation had never been much involved in politics and didn't even have a lobbying office. That changed as the men and women the organization represented demanded that the NRA step up to defend their rights in the frenzy of the late 1960s. Within a few years, many of those who had so fervently believed that the public would welcome their sponsorship of "gun control" were defeated and, before long, Republicans and Democrats in Congress joined forces to pass the Firearm Owners' Protection Act, which rolled back many of the restrictions adopted in 1968. Since that time, the NRA has continued to devote more than 85 percent of its resources to its traditional mission of providing civilian firearms training, teaching firearms safety and working to introduce new generations of Americans to the shooting sports, but has taken on the added role of protector of the right of law-abiding Americans to own and enjoy firearms. The organization's political strength rests on the bipartisan and diverse makeup of its membership and of the millions of nonmember firearms owners who look to the NRA for leadership and their willingness to step up to the plate and the ballot box when their rights are threatened. It is that second attribute of Second Amendment supporters that has surprised the president and his allies. The administration has attempted to demonize the NRA and cow gun owners into accepting restrictions that they know won't make anyone safer but which will interfere with a citizen's ability to acquire, keep and rely on firearms to protect their families or participate in the shooting sports. But gun owners have been energized rather than cowed. Instead, they are presenting a truly united front as they rally to fight for their constitutionally guaranteed rights. Anyone who doubts this need only look at what happened recently in the literally bankrupt city of Harrisburg, Pa. The organizers of the largest outdoor show in the country, the Eastern Sports and Outdoor Show, announced that they would not allow the display or presence of the firearms the president likes to demonize as "assault weapons." Within days, more than 300 vendors withdrew in protest as the NRA and others urged Second Amendment supporters to boycott the event. Within days, show organizers announced it was being canceled or, in their word, "postponed indefinitely." This had been the single largest outdoor show in the country. It annually draws more than a million people and, according to local estimates, more than $45 million won't be arriving in the pockets and coffers of the city, with its pro-Bloomberg, anti-gun mayor. Her constituents will suffer because gun owners and their supporters will no longer idly stand by while their opponents strive to profit from them while advocating restrictions on their rights. As the battle over restricting Second Amendment rights continues, other elected officials under pressure from the Obama administration to ignore the feelings and deep beliefs of their constituents will learn a similar lesson. Hundreds of self-proclaimed gun advocates didn't believe President Barack Obama was anti-gun, based on his first term and wrote the NRA saying we were using scare tactics to have our way. Now they know. Second Amendment supporters are in no mood to give those who would deny them their rights a pass and will vote in the next election in the same united way they responded to the insult leveled at them by the organizers of the Harrisburg show. 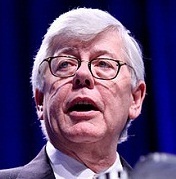 David Keene is president of the National Rifle Association.